While inbound and content marketing may be key to generating leads and pumping up your pipeline, the successful growth of a SaaS business depends on so much more than those techniques. One proven way to accelerate SaaS growth is building a powerful partner program. Don’t believe me? Take HubSpot, for example. With one of the most successful SaaS partner programs in existence, HubSpot has demonstrated the power of partnerships for rapid business growth. Soon after the partner program launched, it began generating a substantial amount of monthly recurring revenue with limited effort needed by HubSpot’s partner team. In fact, the first quarter of the program produced approximately 42 percent of the company’s customers and 33 percent of its revenue. In today's post, we're going to take a deep dive into the key mechanisms, goals, structures and business questions that you need to consider when developing a SaaS partner program. Why Are SaaS Partner Programs So Successful? SaaS products are a significant investment. Because B2B SaaS investments typically affect multiple stakeholders, the buying process is notoriously cumbersome. Almost every software on the market has a bit of a learning curve and requires dedicated upkeep to avoid it becoming shelfware. Partner programs can soothe some of these challenges by enabling other companies to sell your product on your behalf. 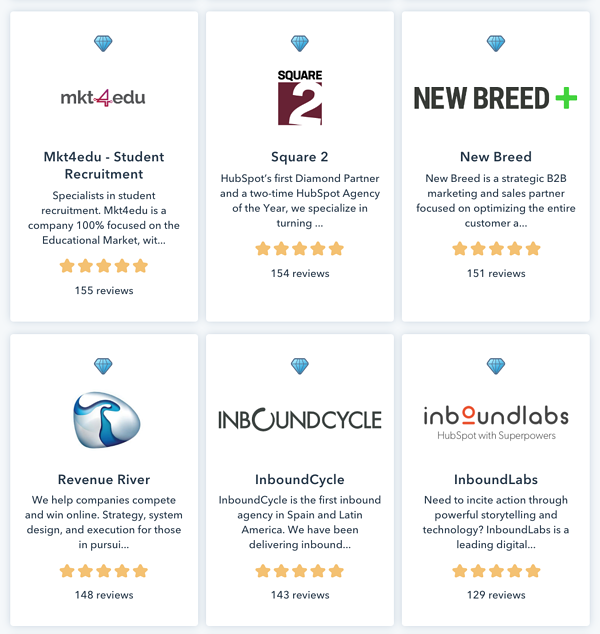 For example, as a Diamond-Tier HubSpot partner, New Breed can sell, upsell, renew and service the HubSpot platform without ever needing to consult a HubSpot representative. This kind of touchless sales cycle that occurs outside of your internal resources can reduce the cost of acquiring new customers and free up your internal team to pursue higher-value, more complex opportunities. Plus, because we can onboard and service HubSpot customers on our own, we can help ensure that customers are using the platform to its fullest potential and getting the most return on their investment. In that way, a partner program can act not only as another sales channel but also as a client success channel. Partner programs serve as a brand-building channel as well. Often, your partners will also be your customers and evangelists, so building a robust partnership network can create an engaged and dedicated community around your brand. Yes, building a partner program can reap incredible rewards for your SaaS company — but it’s important to remember that the program should benefit your partners as well. By offering attractive incentives like recurring revenue sharing, insider information such as product updates and discounted event tickets, you’ll help your program grow. Ultimately, the more successfully your partners can use, sell and extract value from your product, the more your partner program will contribute to your overall business growth. Is a Channel Sales Partner Program Right For My Company? Before diving in any further, you need to determine whether or not a channel sales program is a good fit for your company in the first place. 1. How much training and support does your product require? The easier your product is to use, the easier it will be for your partners to sell. However, that doesn’t mean that products with a complex onboarding process can’t be sold successfully via a channel partner. Ultimately, the success of your partner program comes down to whether or not you’re providing the right training, resources and support to your channel partners to sell the product on your behalf. 2. Will you be able to effectively train your partners to sell your solution? You need to have the infrastructure in place to train and support your channel partners. Typically, companies will assign a partner program manager or a channel account manager to act as the liaison between your company and your partner companies. Similar to a customer success manager, this person is tasked with ensuring the success and satisfaction of each partner, and they’re probably the one who’ll conduct training sessions if needed. 3. Is your product ready or are you still ironing out the kinks and building out important features? Partner programs are a great strategy for scaling your business, not for gaining initial traction in the market. Before you can implement a successful partner program, you need to have a well-developed minimum viable product that meets the needs of your target market. You should be familiar with your ideal customer base and have an in-depth understanding of the sales cycle. If you can’t convey these important sales elements to your partners, then a partner program probably isn’t right for you. 4. Do you have a scalable and repeatable sales model internally? If you’re struggling to develop a streamlined sales model for your internal sales team, then it’s unlikely you’ll be able to train your channel partners to sell your product successfully. Before you even think about developing a channel sales partner program, make sure you have your own internal ducks in a row. The bottom line is: Companies that are still in the startup phase should not be investing in a channel sales program. Instead, startups should dip their toes into lower-stakes, more easily controlled partnerships like co-marketing or affiliate programs. How Do I Get Started With A Successful SaaS Partner Program? Building partnerships with established resellers will take considerable time and effort up front. The pitch to your potential partners must illustrate that you clearly understand their business. You will need to enable your partner's sales team to resell your product. Therefore, sales enablement content will be critical to success. It will take time for your channel to start to generate revenue. In fact, it's not uncommon for it to take 12–18 months before you start achieving your channel goals. The product-development feedback cycle from your partners will be slower than from your direct customers, which means you should make sure you've reached product-market fit before you commit to a partner network. Don’t worry, though. These challenges are certainly not insurmountable. However, this will take time. Start experimenting with a small number of partners and reasonable customer goals, and then increase your partner personnel and marketing budget as your program proves successful. As a SaaS company, you might want to offer your product for free or at a significant discount to partners to gain traction for the program. After all, giving value before you ask for value is a key component of any kind of inbound endeavor. How Do I Establish Goals and Mechanisms For My Partner Program? At a high level, the goal of your partner program should be to generate customers through this new channel (at least) as effectively as your internal sales efforts. To achieve this, you'll also need to be ready to track the same key metrics in your partner program as you do in your direct efforts (CLV, CAC, payback period, etc.). Depending on the size and complexity of your partner program, you might want to hire a partner manager, invest in a tiered partner relationship platform like PartnerStack or both. For smaller, co-marketing or affiliate partner programs, you might not need something so robust. 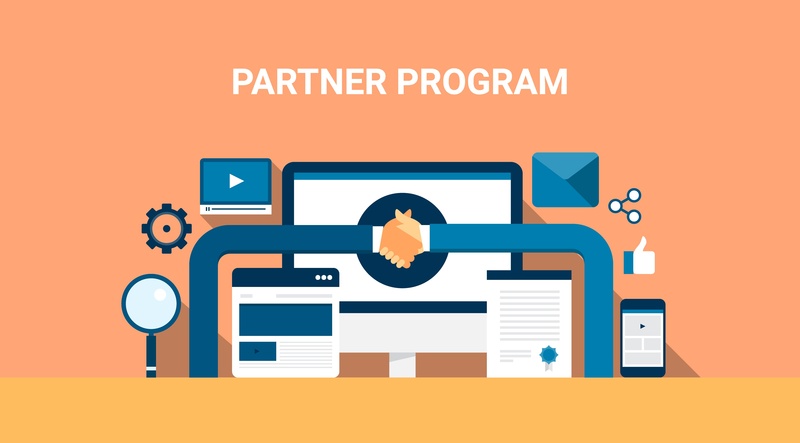 The primary mechanism used to create a partner program must be a model that can be easily communicated to your channel partners and empower them to be working advocates for your product and brand, and rewarded as your company grows (while helping them grow their own). This way, you can reach their networks as a trusted source and lower your cost of acquisition. If your resellers offer services that complement your platform, your partnership will also act as an outsourced customer success engine. However, you need to determine internal figures before setting goals for the partner program. Assess your current business performance. Look at past data to understand your growth patterns and forecast based on those goals. When you’re just starting out, don’t count on the success of your partner program. The infancy of your partner program is not a time to set goals that could make or break your business, but rather a time to start collecting data and creating benchmarks for your program in the future. As it becomes more robust and begins contributing more predictable revenue, then you can start forecasting partner goals for the future. What Are the Different SaaS Partnership Models? A great way to structure your partner program is using tier levels to acknowledge how successful a given partner has been in reselling your product. Tiered structures can also help create a competitive ecosystem that provides achievement levels and rewards, such as additional support from your channel team. If you’re new to partnerships, you may want to experiment with different levels of involvement and start building relationships without high risk. Co-hosting webinars, guest blogging and exchanging backlinks or social mentions in exchange for lead shares are great ways to get started, even well before your business is ready to scale. How Do I Compensate My Partners For Their Involvement? For the program to be successful, you'll need to have a clear financial model built out to compensate your agency partners. This model should be built based on your business's growth goals and align with your direct marketing and sales teams. This way, the partner program is being compared against the same metrics used across the organization. It’s important to dabble in low-barrier monetary incentives before you implement a full-blown reseller program. For example, if a partner drives a lead to your website and that deal later closes, you could reward them with a flat rate of $200 or a revenue share percentage. The best part is, these kinds of incentives don’t need to be restricted to your partner network. You could offer gift cards for customer referrals or affiliate companies to generate demand and interest in your partner program as it grows. What Kind of Assets Do I Need to Create for My Partner Program to Be Successful? Once you have the model and framework in place and have experimented and proven that the channel is viable for your business, it's time to take it to market. A public partner overview site page: This page should discuss the structure, goals, financial models and mechanisms of your partner program. It should talk about what you expect from your partners and what they can expect from you. Partner sign-up landing page: This is where interested partner prospects can go to request to join your partner program, ask for more information or discuss different partnership models they might be interested in. Brand asset/sales enablement library: This asset should be the go-to resource for your partners to find important information like brand guidelines, product messaging and updates. It could take many forms, such as an e-book, a partner forum, a Facebook group, etc. Partner contact channel: Give your partners a simple way of contacting you in the case of discount questions, product troubleshooting or else. This could take the form of a chatbot, a form, or an account executive. Marketing content: Depending on how robust and complex you hope your partner program to be, you’ll need to create content to market the partner program and generate interest. With this business framework and your marketing assets ready, your business is now ready to launch its own partner program. Remember, partner programs aren't right for every SaaS business and require a clear strategy and time to develop. Start small and set clear goals and performance indicators up front. When executed correctly, a successful partner program can be a huge driver of your business growth and the success of your customers. This post was originally published May 13, 2015.